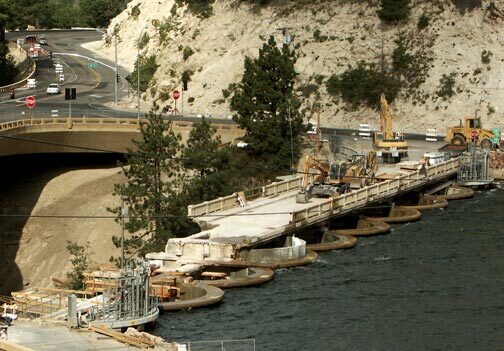 Demolition continues on the old bridge across the top of the dam at Big Bear Lake. The removal project is about one third complete. 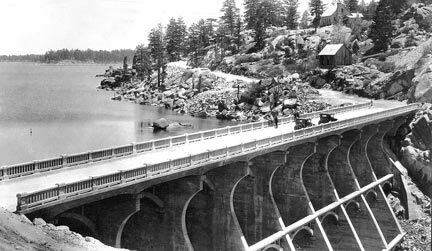 Here is another image of the bridge at Big Bear Lake when it first opened in 1924. Note: The copyrighted information in this article have been presented here with permission from Rick Keppler.